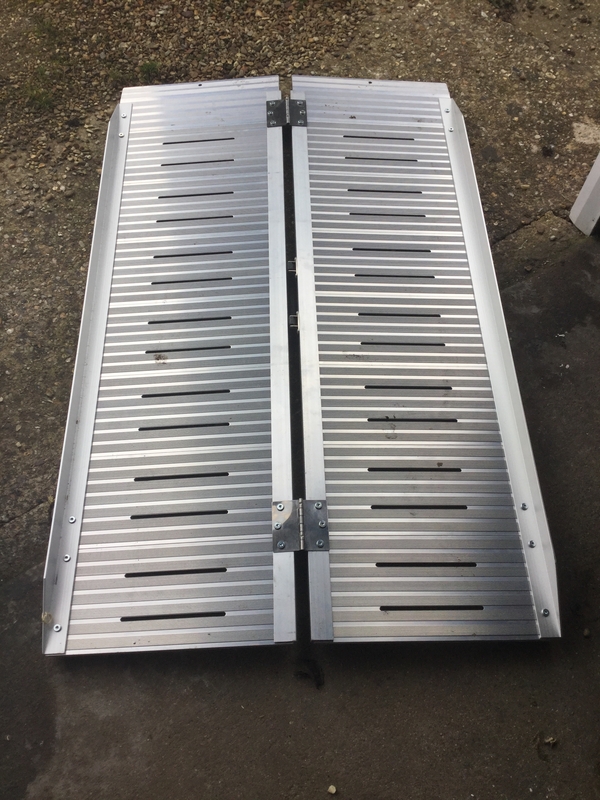 Description: 4ft Aluminium Folding Ramp and a Threshold Bridging Ramp (two ramps in total). Both completely unused, brand new. Collection Cambridgeshire.